Are You Hungry For The Hunger Games?! You Should Be 'Cause Here's Your Source For EVERYTHING Hunger Games! As is my own personal tradition, this time of year I like to come up with a list of all the things I'm grateful for. And do you know what was in my top 5? You guessed it! 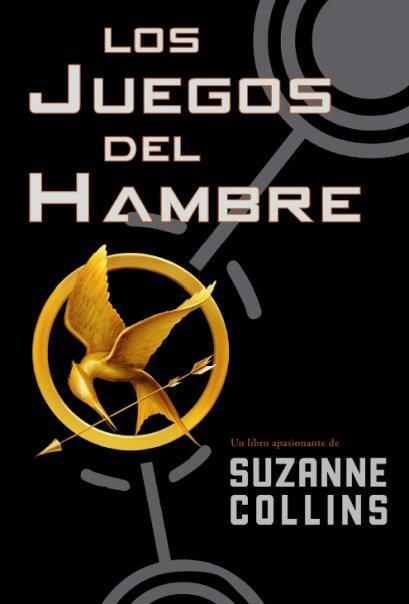 The Hunger Games (and all that it's related to). Now I know, I know some of you less enthusiastic people (= anyone NOT completely obsessed with the HG series) might be wondering what in the world HG is doing in my top 5 slot of What I’m “Thank-full” For In 2010 list. Well, I’ll tell you. The Hunger Games are amazing. They really are, they’re definitely one of the best book series I’ve ever read (and probably ever will). And if you’re here reading this you probably agree. So I would just like to encourage you this Thanksgiving to create your OWN list of What I’m “Thank-full” For In 2010. HG doesn’t have to be in your top 5, but I would encourage you to put it somewhere on the list! :) Even if you don’t live here in the US or you don’t recognize it, being thankful never hurt anyone. ..
Leave what you’re “thank-full” for in the comments below! That’s all for now. Happy Thanksgiving everyone! May the odds EVER be in your favor! have expressed interest in the film and received scripts in October 2010.
are also interested in the role of Katniss. Ok, now let's go take a look at them. Kaya Scodelario-Age: Good, Looks: Okay. Everything Else: Fail. There are pics of her smoking, giving the finger, and other undesirable actions. Not that I believe that this will hamper her acting abilities. (Well, some of it might.) But I just don't like her, I don't want HER as the face of The Hunger Games. Chloe Mortez-Age: Fail. She 13. And she looks like it too. Maybe she can audition as Prim? NOT Katniss. Looks: Another fail. Katniss needs to be dark, tall(ish), and slender. Everything Else: Well she's 13 and looks nothing like Katniss. Do I really need to continue? Malese Jow: Age: Good, Looks: Okay, Everything Else: Ok, now Malese's voice. Have any of you heard it? It's awful. And the way she acts, almost like Miranda Cosgrove. She also doesn't seem to have done any real in depth acting. Mostly just Nickelodeon.Katniss needs to be played by someone with depth and intensity. I'm sorry but I don't think that Malese will be able to pull that off. That along with her voice? Fail. And last but not least, Jodelle Ferland: Age: Perfect. (She's 16), Looks: Good but she looks a little young. Katniss was very mature for her age and Jodelle doesn't look "aged beyond her years", Everything Else: I'm just not sure that Jodelle has the intensity required for the part. I don't know, she might suprise us! Yeah, so there you have it the official Katnidates that we have so far. Keep you posted with more soon! Suzanne Collins has adapted the novel for film herself, and her script is being revised by screenwriter Billy Ray. "The Hunger Games is an incredible property and it is a thrill to bring it home to Lionsgate. This is exactly the kind of movie I came to Lionsgate to make: youthful, exciting, smart and edgy. We are looking forward to working with Nina and Suzanne to create a movie that satisfies audiences' hunger for high-quality entertainment." The HG Movie Fever Is Catching! Ok, I have news for you people. This blog is now part of The Hunger Games Fan Alliance! It's kind of like the Twilight one but ours has been formed BEFORE the movie has come out which will allow us all to get exclusive interviews and info as the movie is made! I can't wait for more news on the movie! I'll post it here as soon as I find anything! Long time no post. I apologize for the neglect. But things are finally happening in the HG world again! This was just a quick post to let you all know that no, I have not died, and that I am coming back! I have some REALLY exciting news for all of you guys! Thanks for your support! Keep voting! Be back soon! MOCKINGJAY!! I NEED IT!! NOOWW! Sorry for all the screaming to those of you whose eyes are bleeding...my bad. But you have to agree with me. ONLY 55 DAYS until Mockingjay is released! Whoo hoo! I can't believe it! Remember when we had like 170 days to wait? And we were all like "UGHH, that's going to take forever!" Well, that "forever" is almost here! Hooray! Congrats to all of you who hung on and are now waiting with baited breath along with me! Thanks! Our EXTREMELY long wait is almost at an end! Ok, so I just heard a rumor...A horrible one. Concerning Mockingjay! What else? I was told by a friend who lives in Spain that the rain stays mainly in the plain. (Ok, only those of you who have seen "My Fair Lady" got that. Everyone else probably thinks I'm insane. ;D ) No, she lives in Spain and she was telling me that we are so lucky since we get Mockingjay in August. I was kinda like "Wha? Don't you get it in August too?" Nope. they don't they get it until....are you ready for this? And for the rest of us who only have to wait another 95 days. (Yes, i did say ONLY.) They have to wait around 100 days more! AHHHH! Be strong! It will be out before you know it! Peeta's Song. Gale's Song. Not in that order. These are just some random songs that I was listening to that I believe captured Peeta and Gale's "plight" perfectly. Enjoy! And EMAIL ME any suggestions that you might have! ;D I'm open to all suggestions for ANY character! I believe that this song captured Gale's internal battle within himself. He knows that he shouldn't love Katniss. She has to be in love with Peeta. He if tells her he loves her,(which he kinda did with the kiss) then it will only create controversial feelings, (which it did). But Gale decides that he just can't just sit and watch it all play out. (Pun slightly intended ;P) So he goes out and tries to in her. Does he succeed? I guess we'll find out in Mockingjay! That was a lot of lyrics. yes, it was. But as you read it that is SO Peeta! He wants Katniss to pick him. (Not Gale. ;P) And he will do ANYTHING to make her happy. "He'd rather die then make her sad..." Yupp, that's SO Peeta!! REentering the Games for her. That's DEFINITELY putting your life on the line! :D No really! It is! I had fun! I hope you liked this post! If you did, comment and send me any song suggestions/requests you can think of! I look forward to them! 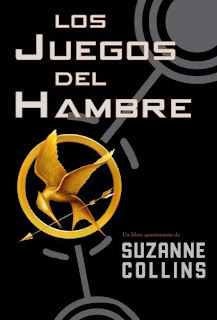 For all you geniuses out there: Los Juegos del Hambre = The Hunger Games (;P) They post it as their profile pics on FB, it's pretty cool. Do your best to use this pic too! Print it out on put it on your wall, notebook, backpack...anything. ;) Have fun! inkling: a slight suggestion or vague understanding; "he had no inkling what was about to happen"
glimmery - shining softly and intermittently; "glimmery candlelight"
Just the ticket when you want to shine at a special occasion. Certain yarns, particularly trilobal yarns, reflect light to create the glimmer effect. Cloves (Syzygium aromaticum, syn. Eugenia aromaticum or Eugenia caryophyllata) are the aromatic dried flower buds of a tree in the family Myrtaceae. Cloves are native to Indonesia and India and used as a spice in cuisine all over the world. The Clove was the first British trade ship to make port in Japan. Captained by John Saris, it landed at Hirado, near Nagasaki, on 12 June 1613.
cleave - separate or cut with a tool, such as a sharp instrument; "cleave the bone"
cleave - make by cutting into; "The water is going to cleave a channel into the rock"
cleave - cling: come or be in close contact with; stick or hold together and resist separation; "The dress clings to her body"; "The label stuck to the box"; "The sushi rice grains cohere"
cloves - usually the mark of new French oak. The term refers to a dried flower-bud used as a spice. The only female, her role in the Commandos is unknown (it is implied that she is little more than a token female. Only two? But wasn't it some type of fish too? Guess not. (That WOULD be a weird name for a fish you must admit. That kinda rhymed! :D) Lol! Remaking society can take decades. But global rebellion is short work for sharpshooter Katniss Everdeen, who single-handedly foments a revolution in Suzanne Collins' blockbuster young-adult Hunger Games trilogy. America likes its champions reluctant, and Collins specializes in that surly breed: her heroine trounces dystopic despots while chewing her cheek in self-doubt. Triumphant but not arrogant, prized but not vain, Katniss takes two whole books and assurances from two suitors to accept that the crowds love her. You could get tired of bracing yourself for a hero's next unwitting triumph if Collins, 47, didn't wear the mantle of her own success so lightly. Like Katniss, she's a natural, lighting from thriller to bodice ripper to fantasy in the space of a few chapters, churning out a powerful, innovative oeuvre without making a big deal about it. 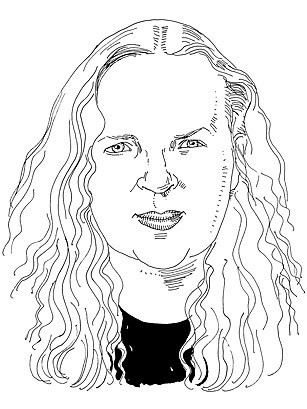 Her literary dexterity lends itself to marketing speak — call it Children of Men meets The Clan of the Cave Bear — but Collins is not pastiche. She's a literary fusioneer, that rare writer who is all things to all readers. Today's would-be revolutionaries should be so lucky. Pretty awesome right? Congrats Suzanne! Ok, this is how Google defines 'Cato'. Warning: It is really random but hilarious! :) Enjoy! Cato is a town in Cayuga County, New York, USA. The population was 2,744 at the 2000 census. The name was assigned by the surveyors of the Military Tract, and is one of many towns and villages bearing classical place names. The Cato Institute is a pro-free market, libertarian think tank headquartered in Washington, D.C.
i was thinking of the names and stuff. Do you know what thresh means? It means to shake out the grains of a plant. (not exactly "shake".) Agriculture, dist. 11! And gale? that's a kind of wind, and Gale has stormy grey eyes? I read this off a fan fic-> Peeta=Pita a type of bread,(duh.) Katniss, some wild potato plant<, and rue and primrose some types of flowers!!!! interesting, isn't it??(yupp.) i dont know about cato, but yeah! Do YOU have any ideas about HG names? Send them to me! :D I would LUV to hear what you think! Hmm, I has so much fun! You know what? Forget about the HG casting for this month that will be next month's theme. Ok, not saying that I hacked, but I have a friend who specializes in 'finding out the truth' in a unpolitical way: hacking. Remember, you didn't hear that from me. As a fellow HG crazed fan when I mentioned the chance of the later release date of Mockingjay, he went crazy.After 'discovering' some information I am saddened to say that yes, it IS true. Scholastic is trying to keep it hushed for now. I don't know why. Trying to make it even MORE heartbreaking when they announce it later?! UGH! I think I'm going to write them a strongly worded letter about this....Oh wait, I can't cauz no ones supposed to know! I'll begin working on it now so I'll be ready for the announcement. Ok, so it's really late for me some I'm gonna throw together a celebratory playlist put it up and go to bed! lol! Well here it is! I considered doing 100 songs but thought: 'Yeah right, like who's even going to listen to all of that?' So I stuck with 20. I hope you like them! A huge thanks to all my followers who left suggestions. I loved them all! I added them so I hope you hear your favs! Next month I will begin to feature HG movie casting ideas! That day is fast approaching so I need your help! Do you have any ideas? suggestions? Have you made a video on YouTube with your casting ideas? Let me know! I will be focusing mainly on the Hunger Games...but if you have any ideas for Catching Fire, I still want to hear it! If you don't have any ideas yet that's fine, when you watch movies now just think of the Hunger Games and trust me, you'll get lots of ideas! Remember to jot them down before you forget! I look forward to see what you come up with! Hello and welcome to blog update 2#! Hmm, so much has been happening! First, we WERE the number 1 HG blog. We're still battling for that position so keep the votes coming! We are in close second! About the whole Mockingjay postponed release date...rest easy, I have NOT found any other indicators that this is true so I think we can all breathe again! BTW, thanks for voting! and for those who haven't yet only 5 days left so get your votes in! That's all for now! I'll be back with more news soon! P.S. If you guys have ANY HG movie casting ideas let me know! I'm working on a post so anything will help! Hooray! dani72187 has done it again! Fan-made trailer for the second Suzanne Collins book, Catching fire. This trailer is more from the Capitols point of view so it doesn't focus on the rebellion aspect of the book. I was working on another video, but it wasn't working out to well so I switched over to this. I hope you enjoy. Well, what did you think? Amazing, right? Let me know what you thought! Just a quick blog update! 2. I have entered another HG Toplist! It's located in the same area as the first. Don't worry! It's just as fast to vote as the first! ;) Please try to do both once a day. Also rate and review this site! 3. The post poll. We now have 3 candidates! 1. (previously 4#) Forest vs. Clock. A closer look and comparison of the 74th and 75th games arena. Written in order of votes. 4. I need your help! I would LOVE to feature your Hunger Games work! If you write, draw, make videos, sing, play piano, have theories, or anything else that is HG related, LET ME KNOW! OMG. How could I have forgotten? A mega shout-out to whoever left that review on the HG Toplists! Thank you SO MUCH! That's all for now! Thanks for reading! Uh oh Let This Horridness NOT BE TRUE!!! Here I am minding my own business contentedly surfing the web for the latest HG news when I stumble across the most AWFUL, TERRIBLE, GHASTLY, HORRIFIC, DISTURBING news EVER!!! Unfortunately the release date for the Hunger Games Book 3 – the Mockingjay changed. The new delivery date is now October 4th. Ok, this is a quick news flash for you guys so you can stay updated with all the latest HG news! Let's see...Nina Jacobson will be the producer for the Hunger Game movie she is working in close contact along with Suzanne Collins! (Now THAT would be awesome!) *sigh* Here's a quick interview with her. Nina Jacobson not Suzanne Collins. darn! AHHH! A random pic of Lionsgate(i don't know why). Thank you! Lionsgate for being smart enough to make Hunger Games into a movie BEFORE Disney tried to snap it up and jack it up with their "disneyfying". I love you for it! Disclaimer: I do NOT hate Disney. I do not dislike Disney or anyone associated with Disney because they're associated with Disney. I just HATE the idea of them "disneyfying" The Hunger Games movie. don't you? Lionsgate is targeting a 2011 release for the film. “[The studio] has been incredibly gonzo about having the movie. We’re getting the script in and our goal is we hope to attach a director late spring and make the movie in the fall for release anytime fall ‘11 or later. But that’s if everything goes perfectly on the script. If we take more time on the script, we’ll just go a little bit later. But our hope is to be making this movie in the fall,” she explained. Hooray! Suzanne Collins is hard at work for us! Oh yeah! I can't wait! Fall of 2011! Oh YEAH!!!! OH YEAH!!! I can't wait! ALL this amazing Hunger Games stuff coming out! HG overload! HG overload! That's SO a good thing! More soon! Thanks for reading! OMG! OMG! OMG!!!!!! I am SO excited! This blog has been approved to be held in the running for Hunger Games Top Fansites!!!! (well,blog in our case.) YES!!! Oh Yeah! So please vote you guys, I need ALL of you to vote as many times as possible! PLEASE!! I think we have a good chance of winning. Yes, we did get a late start but hey were up against an Italian blog(that kinda limits the audience) and another "newspaper" blog. I think we DEFINITELY have a chance of winning. IF YOU will help me out. All you guys have to do is click the voting link which is right above the Cbox(do you guys like it?). The link will then take you to the voting site where you simply click Vote! You don't even need to sign in or anything! SO PLEASE EVERY time you come and visit this blog PLEASE just click the link, vote, then come back to this site. Simple. If you have ANY questions feel free to email me anytime. My email address is located on the right side of this blog under the Cbox! Thanks for reading and don't forget to comment, vote for what post you want, and to VOTE FOR THIS BLOG! Thank you to all of you who voted! (You know who you are, and you know who aren't.) :) THANK YOU SO MUCH!!! Ahhh! NOW you remember! Consider you options and enter your vote! 74th and 75th Hunger Games! not. How has your day been? This post is being posted in recognition of this blog receiving 75 followers! OMG!!! I can't believe it! air! air! must get air! breathe! *chocking and gasping* Ok, here we go, WOW 75 followers! Hooray! So instead of posting about what has already been written about I decided to let you choose from these options: Note: If you don’t like any of them then email what you would like to hear about! Disclaimer: Ok, I’m sorry if the one you chose doesn’t ultimately get picked but don’t let that stop you from voting. I will eventually post about ALL OF THEM and I will do so according to their order in my readers polls. So…VOTE! Well, there are you choices! Choose carefully. Read the descriptions again. And again, and again, and again, and again, and again, and again. If your answer hasn’t changed then email it to me. If you don’t like any of the options then email your ideas for a post. I’d LUV to hear from you! ;) Now, if you can't make up your mind about which ONE you want you can send me your top TWO choices (in order). Only thing I ask it that you DO NOT put your vote in the comment section. I believe that this influences others and I want a peer-pressure-free voting. Also, if you have any suggestions or ideas for a post please email them to me as well. I don’t want others to be distracted if they like the choices. My email address can be found in the top right hand corner of this blog, in the Contact Me! section. Mockingjay Countdown Part 2! Oh Yeah! Hi! SO excited ONLY 169 (goodbye 70's hello 60's!) days until Mockingjay! AHHHHHHH!! !I can't wait! I need it! AHHHHH!!!! :) Don't you feel the same? (May be not to THAT extreme but close?) ;) I know you do! Admit it! What do you think of the new font? Pick it or kick it. Hey, what did you guys think of my random playlist? Any suggestions? What are your favorite songs and artists? You can EMAIL ME your answers IF you don't want to say OR if it's a super long list. ;) I'm open to ANY suggestions so...hit me up! Thnx for reading! I decided to add some random music to this post in an effort to dilute the horrors we are about to relive. Tell me what you think but please EMAIL me any suggestions you might have! Enjoy! Haymitch Abernathy and Maysilee Donner! Let's just get some basic information about them. Was the aunt of Madge Undersee and tribute of the Second Quarter Quell. Cause: Skewered through the neck multiple times by pink (ironic color) birds with exceptionally long and sharp beaks. Luscious fruit that brings death(I've heard of the angel of death but this is just ridiculous! )note: you are what you eat! muahahahaha! Don't forget to comment and EMAIL ME YOUR THEORIES! If they involve ANY aspect of the Hunger Games please EMAIL THEM TO ME!!! Now that I have your attention I am just letting you guys know that the handicapped code required section of commenting had now been removed!!! So you followers have NO EXCUSE!!!! Note: I suggest you proofread your comment BEFORE you publish it. Ok that's all for now. Don't worry I'm working on a post(well like 4 actually). I'm just sayin that you have NO REASON to NOT comment. So...COMMENT!! Note: This might lead to more comments being deleted, but only if they are rude, inappropriate or mean. Random comments are perfectly acceptable. Have Your Blog Featured HERE!!! 1. Create a post(not a blog, sometimes people get them mixed up) that is somehow related to the Hunger Games. You can then email me the link. (My email can be found when you view my profile.) I will check it out and get back to you as soon as humanly possible. 2. (This is MUCH easier! :) ) You send me some of your own Hunger Games theories. By email, not by comment. Also include a direct link to your blog. This works if your going for BOTH. The post might not SOLELY feature your blog (like 1. will) as their might be other people with AMAZING theories as well. But it's still excellent for your blog! Thnx for the comments and a HUGE shout out to my new followers! Thnx you guys! May the odds EVER be in you favor! Note/P.S.- I will be more than happy to follow your blogs. Umm if you could send me your links and maybe sentence about what your blog is about that would be extremely helpful! Thnx! I love trailers and guess what? I found you another one! Pretty cool right? Ok, ok. It isn't the movie trailer or anything but you must admit it was a pretty sweet BOOK trailer! right? Complete genius! Let me know what you thought! I just thought of something. If you have theories but maybe you don't want everyone to know that they're your theories go ahead and instead of leaving them in the comment section (which is fine) you can email them to me and specify that you want to be anonymous. That's perfectly fine. Note:I will want to use your theories to discuss and evaluate in future posts, but I won't mention that they're yours unless you want me to. Thanks for your theories keep them coming! Even if you aren't a follower I would LOVE to hear your theories and if you are I DEFINITELY want to hear them! So please! I didn't name this blog HUNGER GAMES series THEORIES for nothing! At least I hope not. But I guess I would have if it's just my theories! Come on! Help me out! Ok, is the word "theories" beginning to sound weird to anyone else? Good! Now that it's stuck in your head, send me some! Thnx for commenting you guys. Keep it up! OMG! OMG! OMG! I have 50 followers! I never thought this day would come! Beware this post is a bit long but trust me, it's totally worth your time. No, really it is! "...He puts in the tape and I curl up next to him on the couch with my milk, which is really delicious with the honey and spices, yum! and lose myself in the Fiftieth Hunger Games. After the anthem, they show President Snow drawing the envelope for the second Quarter Quell. He looks younger but just as repellent. go figure. He reads from the square of paper in the same onerous voice he used for ours, informing Panem that in honor of the Quarter Quell, there will be twice the number of tributes. The editors smash cut right into the reapings, where name after name after name is called. “Oh!” I say. “She was my mother's friend.” The camera finds her in the crowd, clinging to two other girls. All blond. All definitely merchants' kids. “I think that's your mother hugging her,” says Peeta quietly. And he's right. As Maysilee Donner bravely disengages herself and heads for the stage, I catch a glimpse of my mother at my age, and no one has exaggerated her beauty. Holding her hand and weeping is another girl who looks just like Maysilee. But a lot like someone else I know, too. “That's her mother. She and Maysilee were twins or something,” Peeta says. “My dad mentioned it once.” I think of Madge's mother. Mayor Undersee's wife. Who spends half her life in bed immobilized with terrible pain, shutting out the world. I think of how I never realized that she and my mother shared this connection. Of Madge showing up in that snowstorm to bring the painkiller for Gale. Go Madge! Of my mockingjay pin and how it means something completely different now that I know that its former owner was Madge's aunt, Maysilee Donner, a tribute who was murdered in the arena. Haymitch's name is called last of all. It's more of a shock to see him than my mother. Young. Strong. Hard to admit, but he was something of a looker. Ok, I thought that was hilarious! :) His hair dark and curly, those gray Seam eyes bright and, even then, dangerous. “Oh. Peeta, you don't think he killed Maysilee, do you?” I burst out. I don't know why, but I can't stand the thought. “With forty-eight players? I'd say the odds are against it,” says Peeta. But the odds haven't been very reliable of late, remember Peeta? The chariot rides — in which the District 12 kids are dressed in awful coal miners' outfits blech!— and the interviews flash by. There's little time to focus on anyone. But since Haymitch is going to be the victor, we get to see one full exchange between him and Caesar Flickerman, who looks exactly as he always does in his twinkling midnight blue suit. Only his dark green hair, eyelids, and lips are different. “So, Haymitch, what do you think of the Games having one hundred percent more competitors than usual?” asks Caesar. The audience bursts out laughing and Haymitch gives them a half smile. “He didn't have to reach far for that, did he?” I say. Nope. Now it's the morning the Games begin. We watch from the point of view of one of the tributes as she rises up through the tube from the Launch Room and into the arena. I can't help but give a slight gasp. Disbelief is reflected on the faces of the players. Even Haymitch's eyebrows lift in pleasure, really? is that even possible? although they almost immediately knit themselves back into a scowl. It's the most breathtaking place imaginable. The golden Cornucopia sits in the middle of a green meadow with patches of gorgeous flowers. The sky is azure blue with puffy white clouds. Bright songbirds flutter overhead. where are the bunnies? By the way some of the tributes are sniffing, it must smell fantastic. where are the BUNNIES!! !An aerial shot shows that the meadow stretches for miles. Far in the distance, in one direction, there seems to be a woods, in the other, a snowcapped mountain. The beauty disorients many of the players, because when the gong sounds, most of them seem like they're trying to wake from a dream. Not Haymitch, though. He's at the Cornucopia, armed with weapons and a backpack of choice supplies. He heads for the woods before most of the others have stepped off their plates. Go Haymitch! Eighteen tributes are killed in the bloodbath that first day. Others begin to die off and it becomes clear that almost everything in this pretty place—the luscious fruit dangling from the bushes, the water in the crystalline streams, even the scent of the flowers when inhaled too directly —is deadly poisonous. Only the rainwater and the food provided at the Cornucopia are safe to consume. oh no! There's also a large, well-stocked Career pack of ten tributes scouring the mountain area for victims. Haymitch has his own troubles over in the woods, where the fluffy golden squirrels turn out to be carnivorous and attack in packs, and the butterfly stings bring agony if not death. ok, now that is creepy. But he persists in moving forward, always keeping the distant mountain at his back. Maysilee Donner turns out to be pretty resourceful herself, for a girl who leaves the Cornucopia with only a small backpack. Inside she finds a bowl, some dried beef, and a blowgun with two dozen darts. Making use of the readily available poisons, oh don't worry there's plenty to go around. she soon turns the blowgun into a deadly weapon by dipping the darts in lethal substances and directing them into her opponents' flesh. Maysilee — have no choice but to confine themselves to the woods. Haymitch seems bent on continuing in the same direction, away from the now volcanic mountain, but a maze of tightly woven hedges forces him to circle back into the center of the woods, where he encounters three of the Careers and pulls his knife. They may be much bigger and stronger, but Haymitch has remarkable speed and has killed two when the third disarms him. That Career is about to slit his throat when a dart drops him to the ground. Go Maysilee! Maysilee nods. And there they are, instantly drawn into one of those pacts you'd be hard-pressed to break if you ever expect to go home and face your district. Just like Peeta and me, they do better together. Get more rest, work out a system to salvage more rainwater, fight as a team, and share the food from the dead tributes' packs. But Haymitch is still determined to keep moving on. “Why?” Maysilee keeps asking, and he ignores her until she refuses to move any farther without an answer. “What do you expect to find?” Maysilee asks. “I don't know. But maybe there's something we can use,” he says. When they finally do make it through that impossible hedge, using a blowtorch from one of the dead Careers' packs, they find themselves on flat, dry earth that leads to a cliff. Far below, you can see jagged rocks. “That's all there is, Haymitch. Let's go back,” says Maysilee. “No, I'm staying here,” he says. “Okay,” he agrees. That's all. He doesn't offer to shake her hand or even look at her. typical Haymitch. And she walks away. Haymitch skirts along the edge of the cliff as if trying to figure something out. His foot dislodges a pebble and it falls into the abyss, apparently gone forever. But a minute later, as he sits to rest, the pebble shoots back up beside him. Haymitch stares at it, puzzled, and then his face takes on a strange intensity. He lobs a rock the size of his fist over the cliff and waits. When it flies back out and right into his hand, he starts laughing. That's when we hear Maysilee begin to scream. The alliance is over and she broke it off, so no one could blame him for ignoring her. umm...I would. But Haymitch runs for her, anyway. He arrives only in time to watch the last of a flock of candy pink birds, equipped with long, thin beaks, skewer her through the neck. lovely. He holds her hand while she dies, and all I can think of is Rue and how I was too late to save her, too. Later that day, another tribute is killed in combat and a third gets eaten by a pack of those fluffy squirrels, Beware of all fluffy golden squirrels! who knows? they might eat you alive! muahahahahahaha! :) leaving Haymitch and a girl from District 1 to vie for the crown. She's bigger than he is and just as fast, and when the inevitable fight comes, it's bloody and awful and both have received what could well be fatal wounds, when Haymitch is finally disarmed. He staggers through the beautiful woods, holding his intestines in, OMG. while she stumbles after him, carrying the ax that should deliver his deathblow. Haymitch makes a beeline for his cliff and has just reached the edge when she throws the ax. He collapses on the ground and it flies into the abyss. Now weaponless as well, the girl just stands there, trying to staunch the flow of blood pouring from her empty eye socket. She's thinking perhaps that she can outlast Haymitch, who's starting to convulse on the ground. But what she doesn't know, and what he does, is that the ax will return. And when it flies back over the ledge, it buries itself in her head. Just the kind of picture we need in our heads, right? The cannon sounds, her body is removed, and the trumpets blow to announce Haymitch's victory. Peeta clicks off the tape and we sit there in silence for a while...."
Whew! Ok, that was...interesting! Hope you liked my ongoing commentary! Don't forget to comment and go over to part two!